Racing circuits 4-pack. 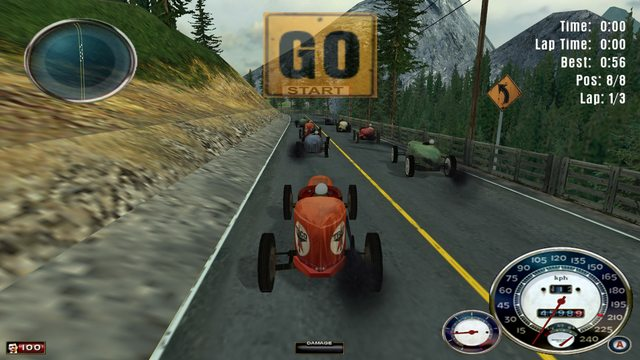 Tracks are converted from PS2 version, in addition reverse mode for each one of them was added. 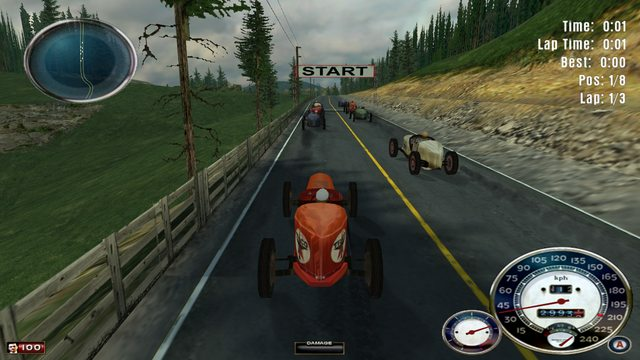 Pack is made to be compatible with other racing mod that has 13 tracks (http://mafiascene.com/forum/viewtopic.php?p=128132#128132) and can be copied over it. In that case all 4 tracks were added to Round 6 (racing cars) of Championship. 1. Copy maps, missions, models, tables folders to Mafia directory folder. 2. Copy Game.exe from RACING MENU for version 1.0 folder if you're running 1.0 version of Mafia. 3. Copy tables folder from COMPATIBILITY Patch folder for compatibility with a mod mentioned earlier (the other mod has to be installed first). 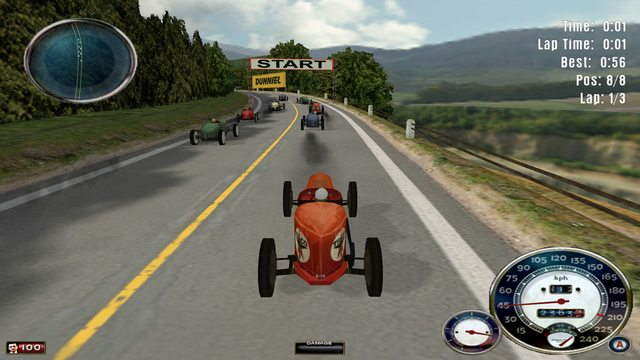 In order to race on them go to racing menu and start the Championship. If 3rd point of installation was chosen you will see them in the 6th round of championship. They can also be started using change_mission command in scene script. Races can be played in reverse from single race menu once you unlock them through winning in championship. Everything should work fine but if you find any bugs or have any questions feel free to post here. 1. 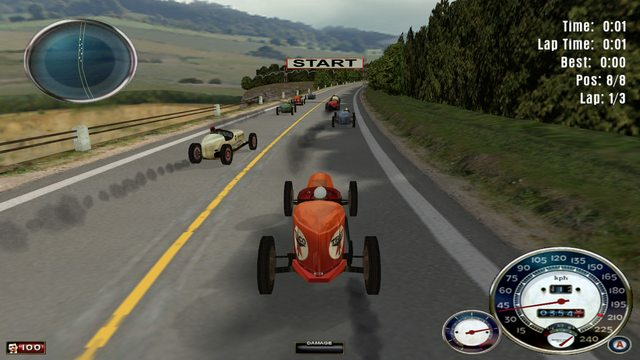 When I selected the Alfa-Romeo racer, I got the spider. 2. When you don't come in first, you can't proceed. That sort of makes the points meaningless. 1. It's version 1.1+ bug, I was looking into it but it seems .exe related. And it happens for every car category. I'd recommend playing 1.0 but then difficulty setting for championship is set to easy or even very easy and changing it through hex doesn't do anything. So it's either championship that poses some challenge but you can't pick correct cars or you can choose correct cars but you get "walk in the park" difficulty level. 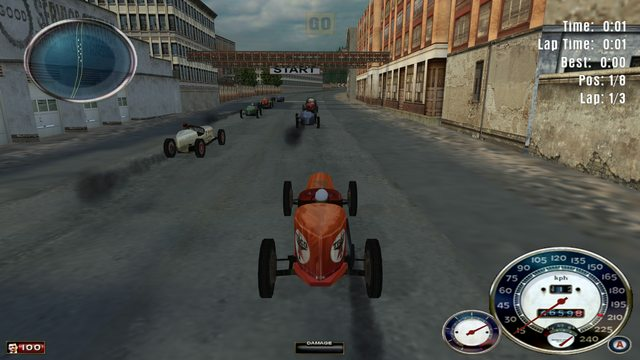 It's very evident that racing mode is unfinished on PC version. 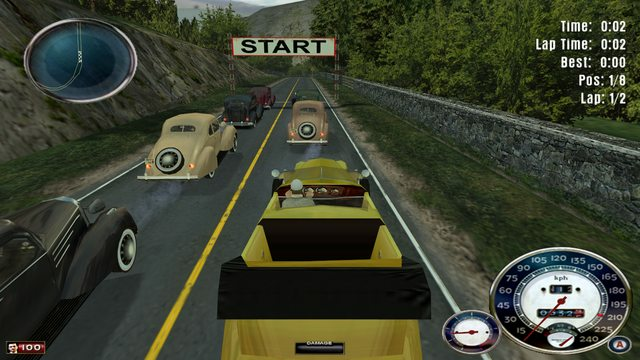 Just an idea, you wouldn't want this for the game permenantly, but for this racing pack you can always swap the cars in tables. Oh yeah, I forgot, the model and textures too obviously. Wasn't there a tool to swap cars? I'm probably thinking of the tables again. Because it's fun to try to win with all four cars. Great job indeed. Thanks a lot. 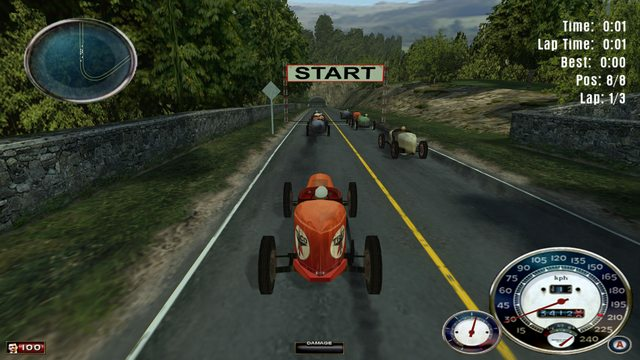 BTW, is there already any mod OR can somebody create a mod where the player (Tommy) can go to the City Circuit while in Free Ride and Free Ride Extreme and start a race? I mean, go to the Circuit, sit in front of a garage, press Action button and start the race. The same way you save the game at Salieri's Bar, for example. And maybe also add the option to choose the car you want to race? Also, open the doors to Salieri's Bar in order to be able to enter the bar's backyard? I was looking into swaping them in carindex but that affects whole game and breaks other cars for some categories. I don't think it can be fixed without patching .exe. 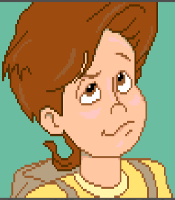 thank- you, thank- you, thank- you, Duelist you have made my day with adding this to the forum. i can't wait to play it on my other computer.I know that it was a ton of work to convert and appreciate all the work you did to get it here. when the track has a mirror is that basically the track in reverse or is it that the track is to large and such needs to be made in two pieces? Have you considered adding different weather conditions to the tracks and do you think it is possible to create a variable with small menu window within the racing menu to control the different weather conditions? just a thought. It's just reverse with some minor changes to the map itself, like: white-red direction signs pointing different direction or moved start/finish line. I'm not sure if the new menus can be created but you can script weather yourself and initialize it by pressing Map or Objectives butttons for example. Both (mine and Firefox3860's) mods have race track and salieri's bar accessible. Although I still haven't released mine. Neither allow you to race but it's easy to add mission change there. I was actually trying to add racing option without changing the mission but it crashes the game If I won't solve this I'll probably add this option. I have noticed a couple flaws such as a couple of floating buildings but that is peanuts;lol. I would ask of your opinion of where do you think these races would be on the map. I found the barn is in the corner, it is not exact to the freeride location but certainly a few changes in the scene file would prepare it for being added. I'd love to be able to cruise around these maps on a sunday drive in freeride;hypothetically it is possible and addon to citybars kind of mod. How can I open these four race scenes with mwe and have them show everything as is? Has anyone ever made changes to the race scenes? It can happen, developers left some stuff floating, some objects might also have different pivots between PC and PS2. Barn and DeadFall Pass fit exactly on freeride map, 2 others would be around construction site in Hoboken. I have added them in like 2016, Firefox also has them in his mod. Open them like any other mission. Just type missions\TRAT14 instead of missions\freeride for example. Oh by the way - if you pick single race, you can choose any car - including the other racers and the track you want. 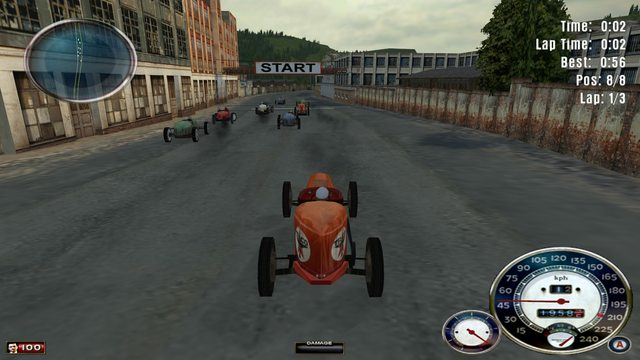 Only annoyance is if you pick a non racer, the game sets every opponent to the same car - for instance 6 Bob Mylans or whatever, and you have to pick every opponent if you do that. Unless you want a race with the same car. Yes, this is championship bug only. It happens only for Other and Prototypes category. It's also .exe related I guess. 1.Do you know how i can get the country1 and downtown race to load. Both are previously installed and worked fine, in fact the country1 was swappable with different conditions. They are both included in menu however neither is highlighted to play it. I looked and compared the menus with bsv and hex but could not make much sense of it and couldn't find the problem. I think it might be a savegame issue. You have completed championship on championship.def/circuits.def files that didn't not have the new circuits. Now that files were changed it might cause some kind of error. You could try to complete it again and see if it help. 2. I have loaded all the load screens and have got them to work; exception being I can't seem to get the short circuit to load with the screen it usually has, it loads with the fairplay screen. I have also added with the loader program to load a specific tga to be used for reverse of the tracks so to speak.The screen loads but it is the blank white load screen, instead of the picture that I added into the maps file as i have done to create other screen loading changes. I haven't tried doing loading screens myself yet. 3. I have found the redbarn race on the country map, with skill it wouldn't be that hard to add into a freeride but not Deadfall, where is this? I assume it is far and up to the end of the map;but in several of your pictures it appears to be by the big bridge, the start place for country 1. I did notice that you included the direction for the other two inside of the city but have no clue how they fit in thanks. It's between west exit from town and the dam. thank you for reply again Duelist. I have completed all of the races in round 6; all in first place, however round 7 won't open. Do you think I will have to complete all of the other 5 rounds again to unlock round 7. If so how do i complete without having country1 and downtown races open. both are in list but refuse to open.I do hope i don't have to do all the rounds again; I don't think I should need to though as all single races are open exception of above. thank you again. I thought of completing whole championship unfortunately. If you are going to do this then go to savegame folder and move these 3 files (mrtimes.sav, mrtimesch.sav, mr000.sav) to some other backup folder. This will reset your championship progress and game will create fresh files. I can't think of any other reason why these 2 races are unavailable. Super job. Really great racing circuits. are there pictures showing up? There are now, I corrected your post. at the beginning of a list of them. to have a look at this at some point.